Every Quilter Needs this Guide! How big is a twin-size quilt? How many squares can you cut from the amount of fabric you have? What’s the best way to sew a mitered border? How do you make bias binding? 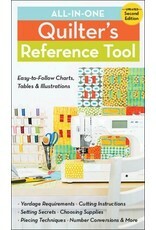 The All-in-One Quilter's Reference Tool gives you fast answers to these and dozens of other quilting questions. 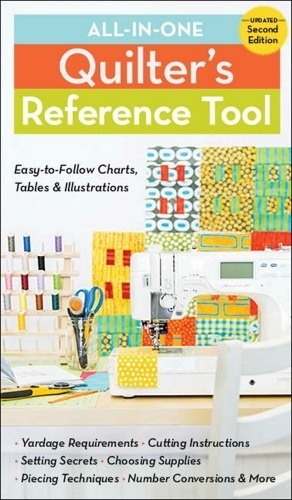 Now this indispensable guide has been updated to include more answers, more techniques, more quilt settings, and more blocks than ever before. -From top quilters Alex Anderson, Harriet Hargrave, Sharyn Craig, and Liz Aneloski.